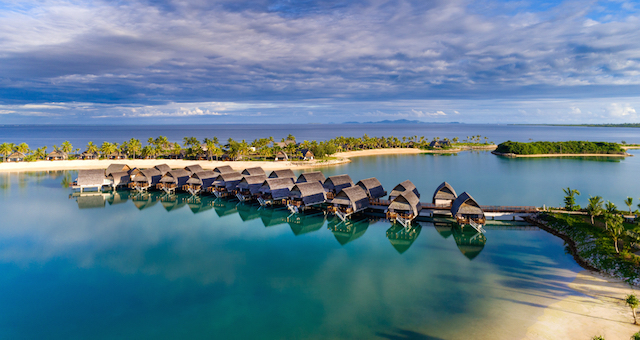 InterContinental Fiji Golf Resort & Spa has taken luxury to a new level in Fiji with the official opening of the resort’s new Club InterContinental – the only offering of its kind in the region. Set apart from the rest of the resort, atop a hill overlooking Natadola Bay, Club InterContinental offers seasoned travellers the exclusivity of a resort within a resort. Surrounding its private infinity pool and lounge area are 55 hilltop suites all with luxurious Cleopatra baths and many featuring private plunge pools. “There is no place like Club InterContinental anywhere on the main island of Fiji,” said InterContinental Fiji Golf Resort & Spa general manager, Scott Williams. Access to Club InterContinental also includes a 24-hour personalised butler service, complimentary internet access, luxurious Pure Fiji products, breakfast in a choice of three stunning venues, afternoon tea and evening cocktails with canapés each evening.